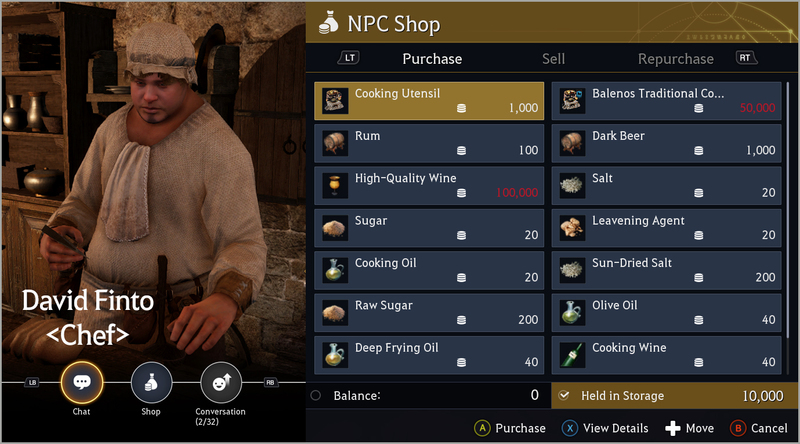 Beer is not a drink you have at the end of the day in Black Desert. It’s the driving force for your workers. It allows workers to replenish their stamina to continue working. Your workers will stop working when they run out of stamina. Make sure to keep them energized with a full supply of beer that you can craft in your residence. It’s easy to make beer! Put the precise amount of each ingredient into your Cooking Utensil and press ‘Start Cooking’ to start the brewing process. Sounds easy enough right? Now the question is, where can we get the ingredients to start brewing our own beer. Let’s find out where we can get them from. Follow the steps listed below to get the ingredients you need. 1. 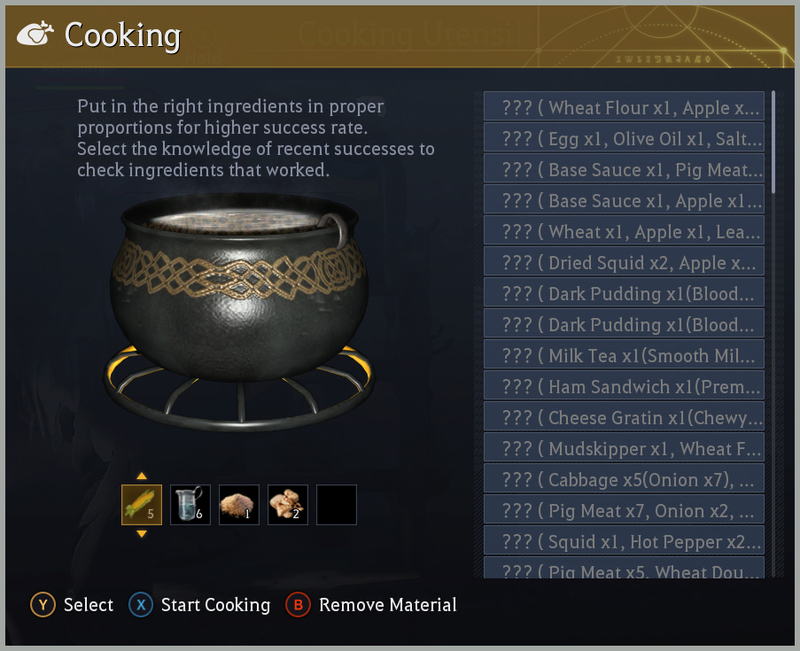 Connect nodes to get the ingredients you need to make beer! 2. 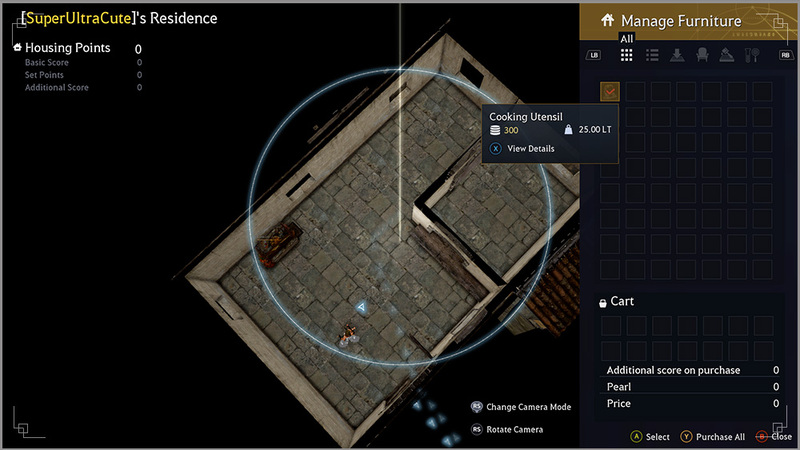 Purchase a residence in a town that is connected to your farm, and place a cooking utensil in it! 3. Toss all the ingredients you need into the cooking utensil! The ingredients used to make beer are Wheat, Barley, Corn, and Potato. It really doesn’t matter which one of these you choose. 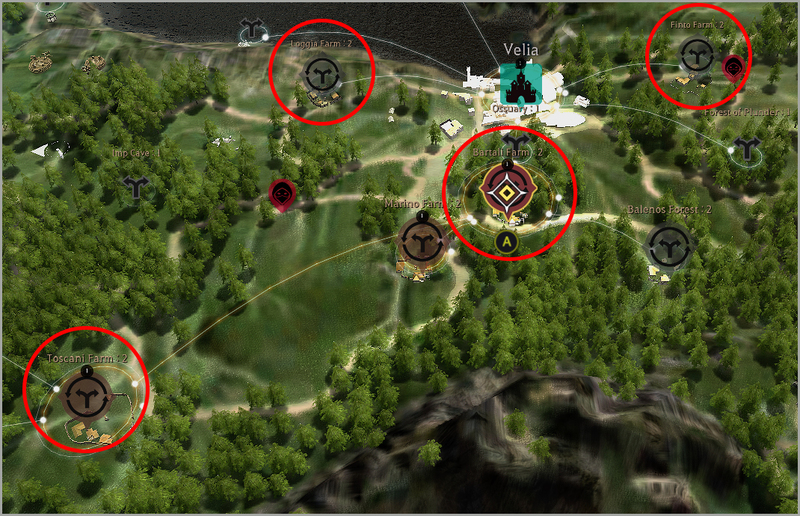 Take a look at the map below to see the farms around Velia where you can get ingredients for brewing. The farms are Loggia Farm, Finto Farm, Bartali Farm, and Toscani Farm. Select Toscani Farm and you’ll see the ring menu appear. Move using your ‘RS’ to 9 o'clock where ‘Node Management’ is. Select ‘Invest’ on the manage window and the circle will turn yellow, just like in the picture below. 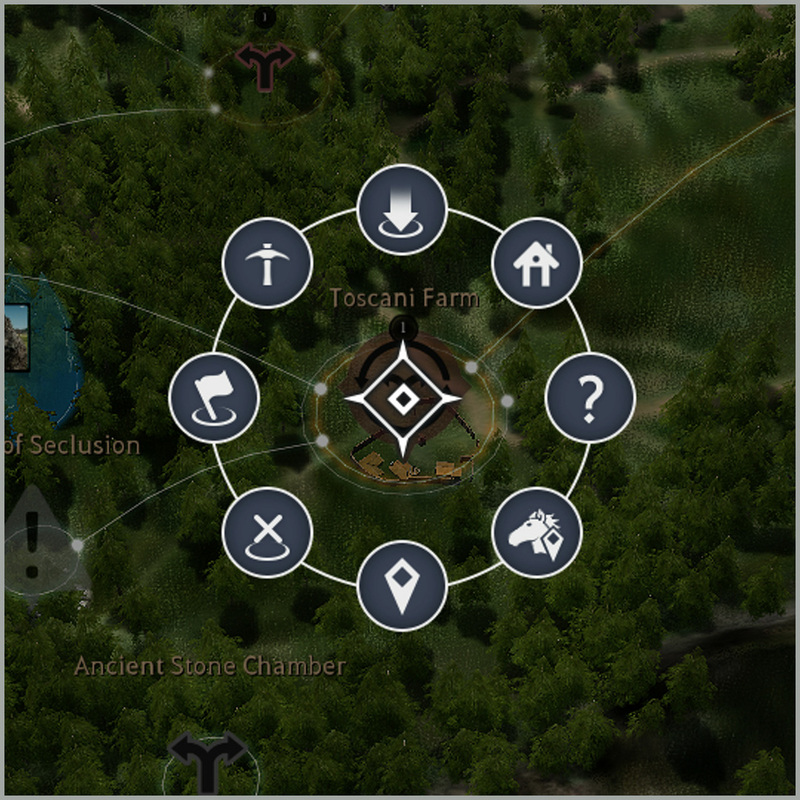 Please note that the node must be connected to a town/city for you to send workers there! First, select ‘Node Management’ in the ring menu. 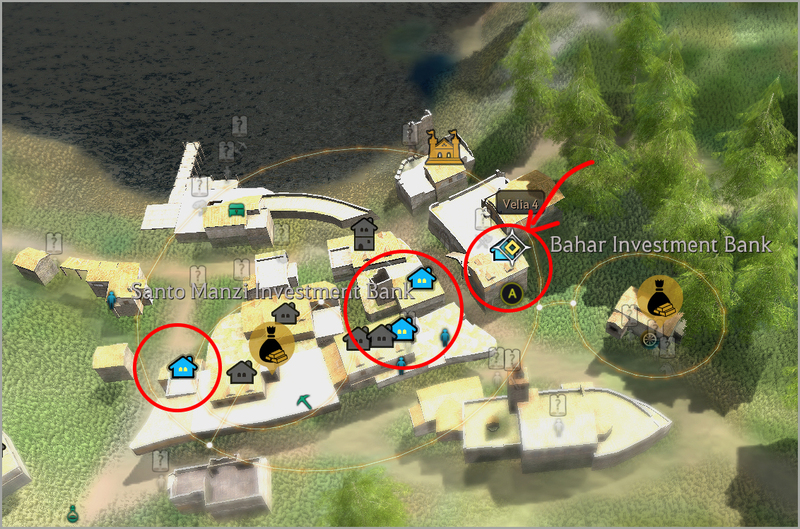 Then, select the ‘Invest’ button next to ‘Corn Farming’ and the circle will turn yellow. Now, you’re ready to send your worker. Open the ‘Product Management’ in your ring menu. Select the ‘Start Work’ button to get your worker to start farming corn. 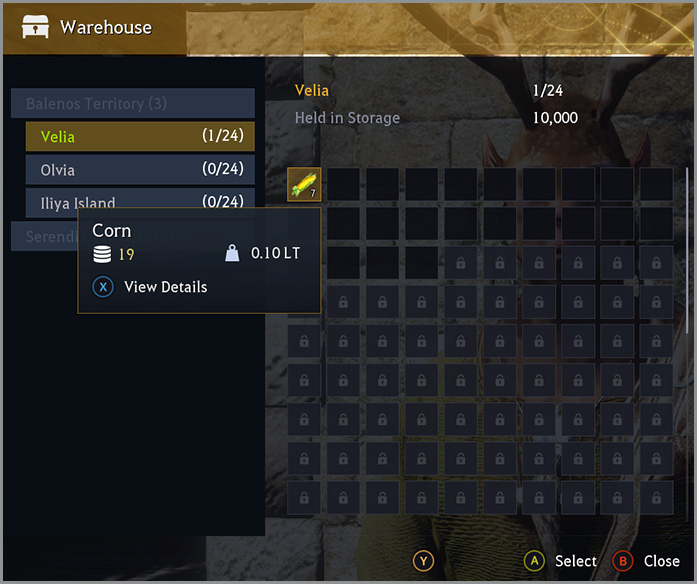 Once the worker finishes farming, you’ll have corn pile up in your Velia storage. When you select Velia, select ‘Enter’ in the ring menu. Then, you can select houses in town. Once you select a house, you'll see the window in the picture below. 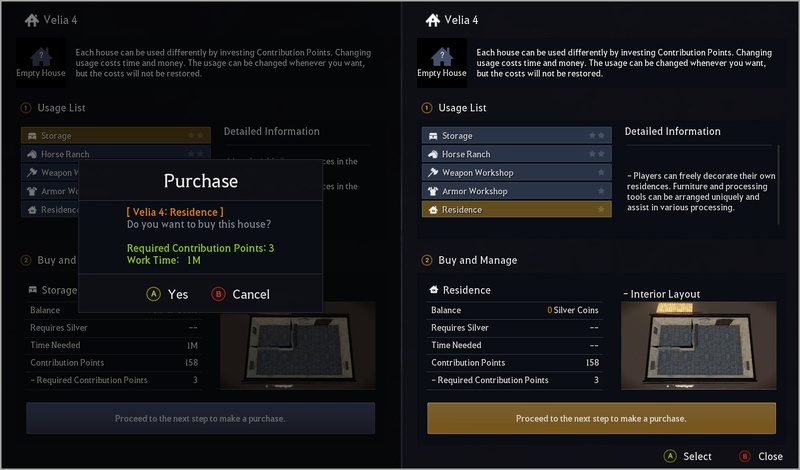 You can purchase the house by investing Contribution Points. You already know how to get Contribution Points right? You can get them by completing quests, discovering new areas, and through many other activities. You can change the house to a residence by pressing ‘Change Usage: Residence’ if it was being used for something else. You will need to get a cooking utensil to place in your residence. You can buy it from the Marketplace or make it in a Tool Workshop. However, one of the easiest ways to get it, is to buy it from David Finto in Velia. David Finto also sells Sugar, Leavening Agent, Mineral Water, and other ingredients that will be essential for cooking. After you get a cooking utensil, go to your residence to place it. 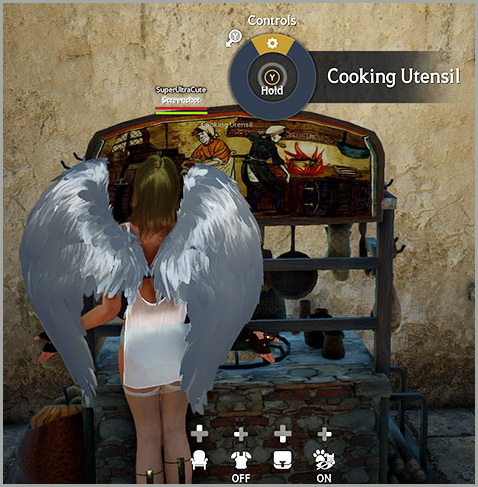 Go to the cooking utensil placed in your residence and interact with it. Put the exact number of each ingredient into the cooking utensil and press 'Start Cooking’ to make some refreshing beer. You will wear down the durability of the cooking utensil when you cook with it. Once all of the durability is gone, you can remove it from your residence either by selling it or throwing it away. 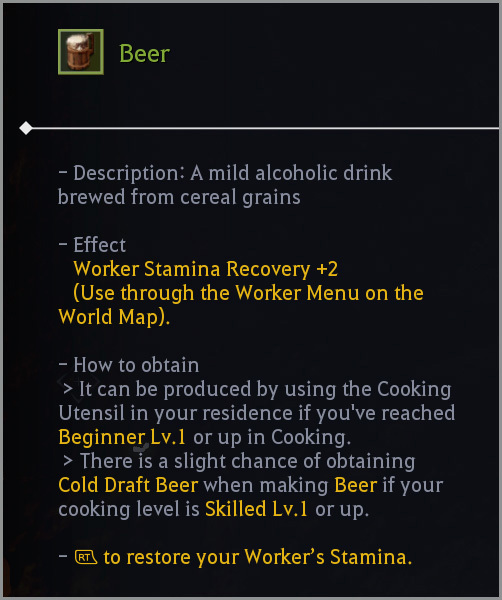 Now, give your workers some refreshing beer so they can continue working!